Mortgage Capital Trading, Inc. (MCT), a leading mortgage hedge advisory and secondary marketing software firm, today announced it has restructured the company’s internal sales processes, bolstered the sales team, and launched a Customer Success Group (CSG). Implementation of the changes pave the way for significant growth as the company continues innovating, launching new products and services, and on-boarding clients. SAN DIEGO, Calif. /Mortgage and Finance News/ — Mortgage Capital Trading, Inc. (MCT), a leading mortgage hedge advisory and secondary marketing software firm, today announced it has restructured the company’s internal sales processes, bolstered the sales team, and launched a Customer Success Group (CSG). Implementation of the changes pave the way for significant growth as the company continues innovating, launching new products and services, and on-boarding clients. MCT’s national sales team will continue to cover the entire country via structured territories but will now arm salespeople with the ability to introduce additional solutions, services and software to lenders. Tom Farmer, Managing Director at MCT, who is an accomplished business development and marketing executive, has assumed the role of Managing Director of National Sales, taking over for industry veteran Bill Wooten after recently retiring as Managing Director emeritus. Tom’s solution-oriented approach to sales management and business strategy have already yielded tangible results since assuming the role full-time. 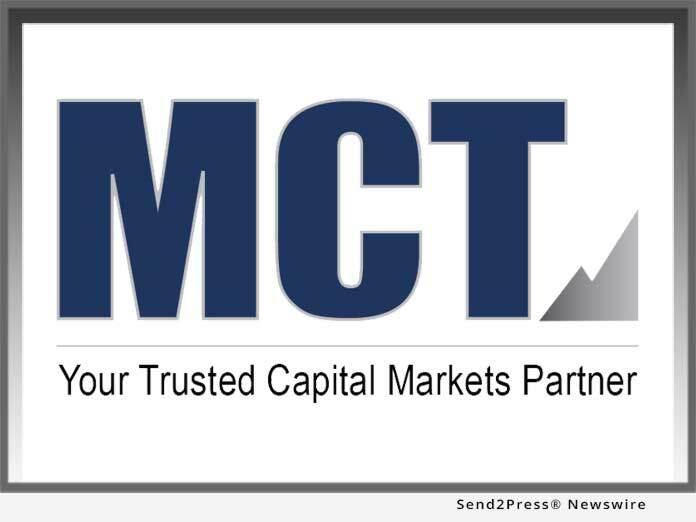 Founded in 2001, Mortgage Capital Trading, Inc. (MCT) has grown from a boutique mortgage pipeline hedging firm into the industry’s leading provider of fully-integrated capital markets services and technology. MCT offers an array of best-in-class services and software covering mortgage pipeline hedging, best execution loan sales, outsourced lock desk solutions, MSR portfolio valuations, business intelligence analytics, mark to market services, and an award-winning comprehensive capital markets software platform called MCTlive!